The history of indigenous people in America is one of erasure. Their contributions are overlooked, rewritten, or simply forgotten. 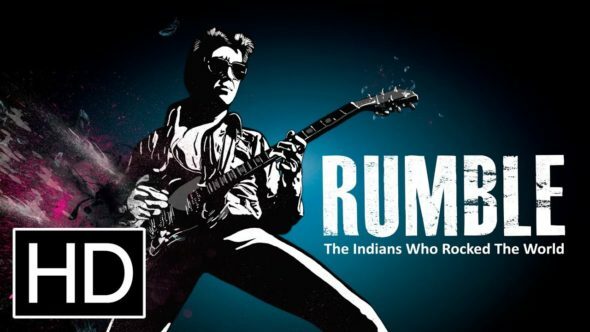 In Rumble: The Indians Who Rocked the World, Catherine Bainbridge (and co-director Alfonso Maiorana) seeks to shed light on the American Indian musicians who helped form the sound of American music. The documentary explores many aspects of indigenous influence in American music. It profiles individual artists, including Link Wray, Buffy Sainte-Marie, and Charlie Patton, among others, but also examines how traditional Indian music, specifically the music of the Mississippi delta, shaped rock and roll, blues, and the big band sound of the 1930’s. With each artist profiled, there is a shift in narrative style. In some ways, this works as many of the musicians represent different genres of music. The shifts help to better highlight the hand indigenous peoples have had in multiple areas of American music. However, it also gives the film an episodic feel. One wonders if the material would have been better served as a multi-part television documentary. Interviews with music historians and ethnologists help explain the evolution of traditional indigenous music into different aspects of rock and roll and blues. Vocal styles heard in recordings from 1907 can be heard again in the early blues of Charlie Patton. Many Americans consider these sounds to be the traditional sounds of African music, but the reality is more complex. The true history is one that blends cultures, with a heavy emphasis on American indigenous music. When one hears the comparison, it’s hard not to hear the traditional music of the American Indian in the blues. Musicians like Iggy Pop, George Clinton, and Steve Van Zandt are also interviewed. They provide a context in which the early American Indian musicians influenced scores of famous bands and musicians. At times, it feels they’re revealing a secret that many in the music world know to the rest of us. They’ve known all along where the indigenous musicians fit into the history of music and they’re finally opening the eyes of the rest of us. While the music history is interesting, the most important aspect of the film is what it gives to indigenous communities. It emphasizes their role in American history. It gives Indian kids heroes to emulate. It shows the rest of us that the culture of the American Indian exists within the fabric of what makes us all Americans. It’s the kind of documentary that deserves a wide audience.